Good morning! I absolutely love this Monday because I feel like it officially kicks off the holiday season. We started decorating a bit yesterday and I have to admit I am all over the map emotionally. But I am trying to stay very positive and appreciate all of the little things. I love nothing more than cranking up the Christmas music and just being together in our home. The weekend flew, as the do, but here is a bit of what we did in our Monday Morning Wrap-Up. 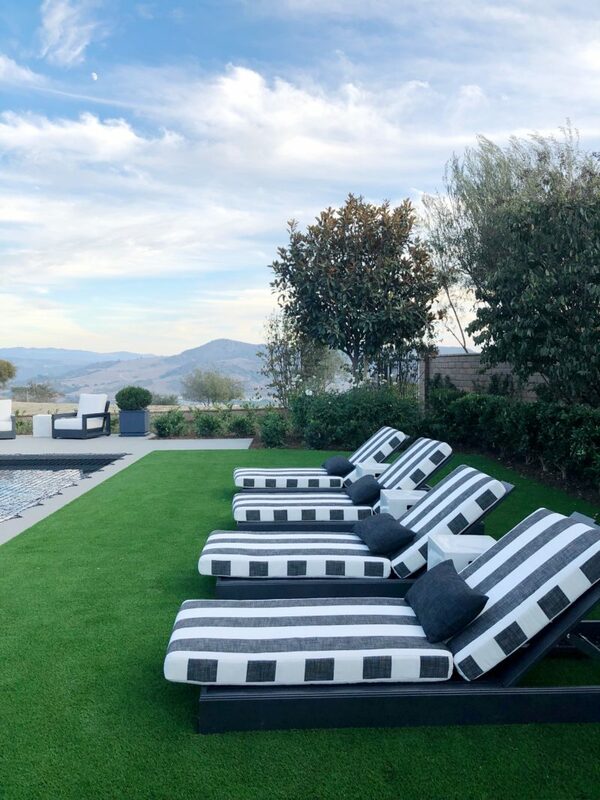 First up is a GORGEOUS home that we toured on Saturday. 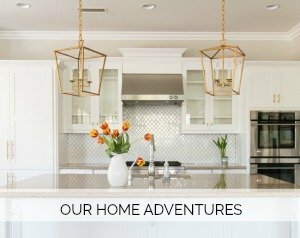 Model homes just opened up near us and this house is beyond dreamy. 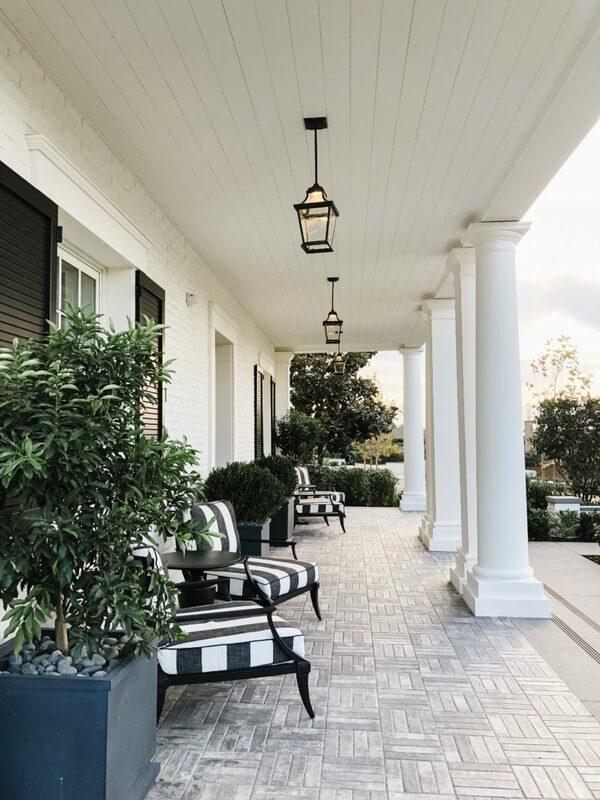 The colonial style exterior and impeccable design choices made it a treat to walk through. 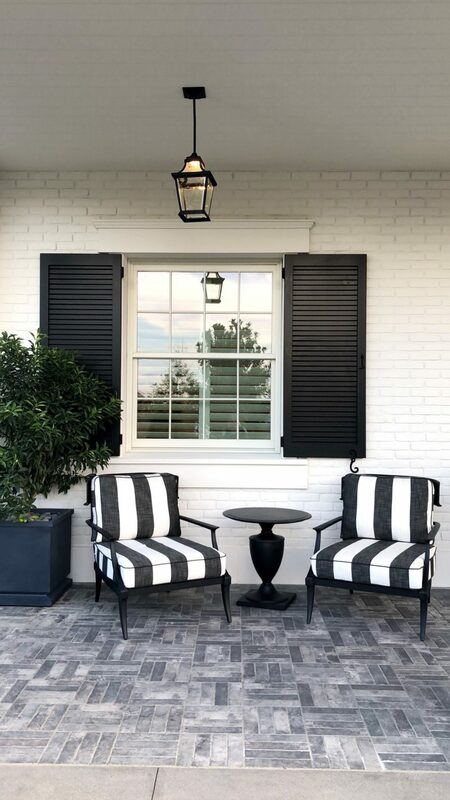 And suddenly I am shopping for striped chairs like this for our front porch. I am in love with these. Welcome to the backyard. OMG. I almost fainted when I walked outside. It’s spectacular. I kept thinking about how some lucky family will get to live here. If one of you buys this please invite me over. I promise to bring an appetizer or a casserole. Totally up to you. LOL. My mom and I hit up Target this week and I found these. I think they would be so cute attached to a bottle of wine or hostess gift. They are $3 each and a really sweet Christmas touch. 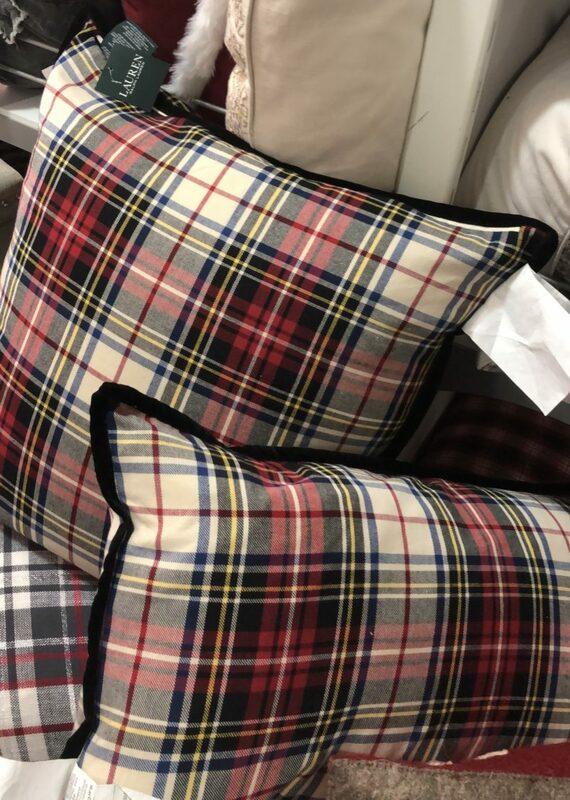 Heads up that Home Goods is once again carrying these pretty plaid pillows. I’ve had them for a few years and each holiday season I receive so many questions about them. 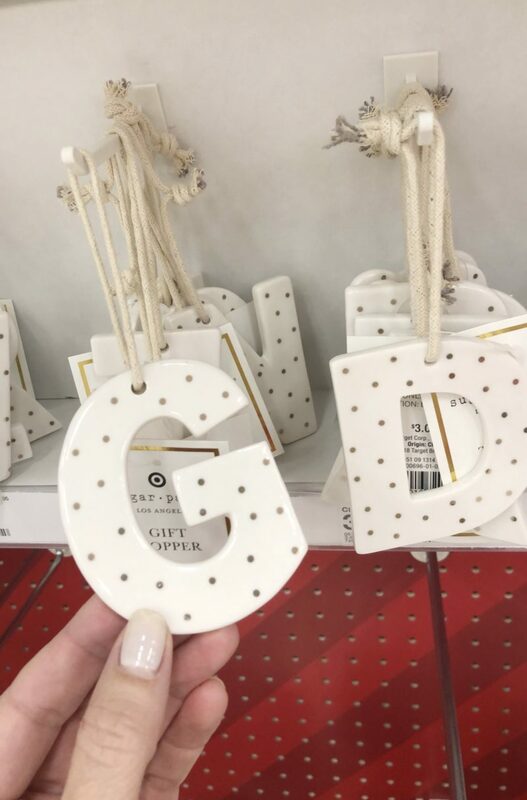 If you are in need of some holiday touches you may want to check your local HomeGoods before they are gone. Here they are in our previous home. 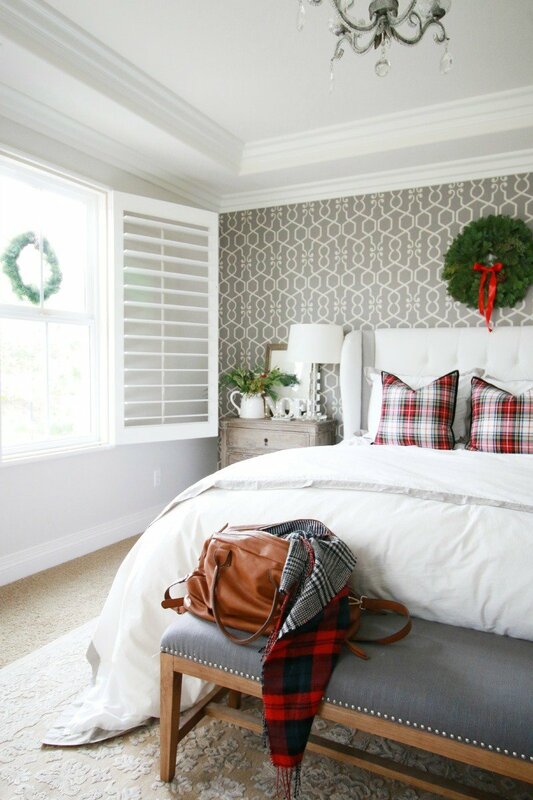 Such an easy way to make a room feel warm for the holidays. Our neighborhood just got an upgrade. Ha. 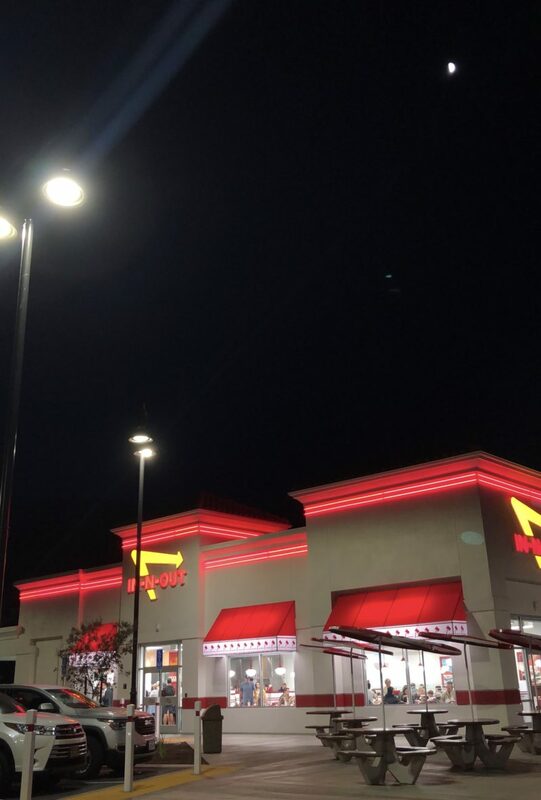 In-N-Out is one of our favorites. While we don’t do fast food very often, if we do, it’s going to be here! We finally went this Friday. It saved me as I wasn’t up for cooking on Friday night. Speaking of easy dinners, lately we have been relying on the salad kits from the local grocery store. Do you ever use those? They are a hit with the whole family. 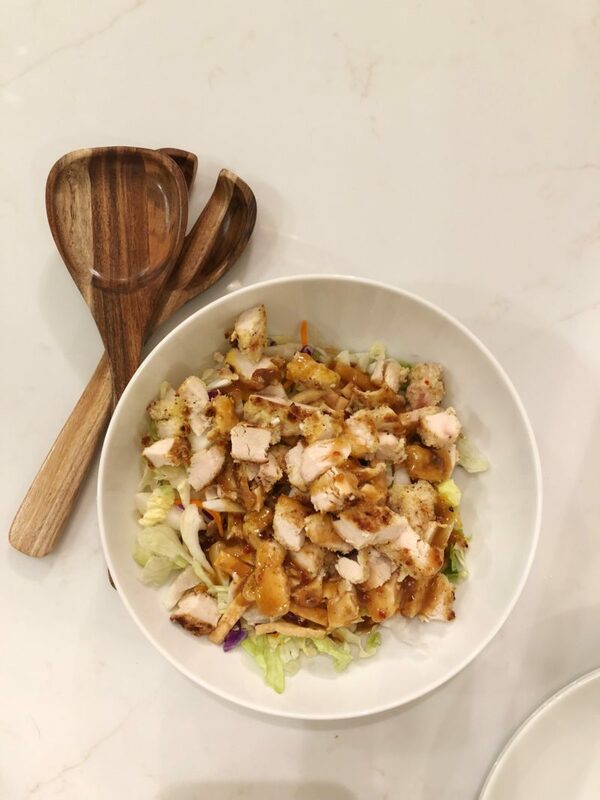 This is the Asian Chopped Salad with homemade chicken tenders on top. It only takes about 30 minutes to make the chicken tenders and I always make extra to toss on a salad the next day. This easy dinner saves us from going out and eating poorly and spending too much money. This was snapped in the dark so I apologize for the quality but this is one of my very favorite parts of the kids being home from school over the holidays. 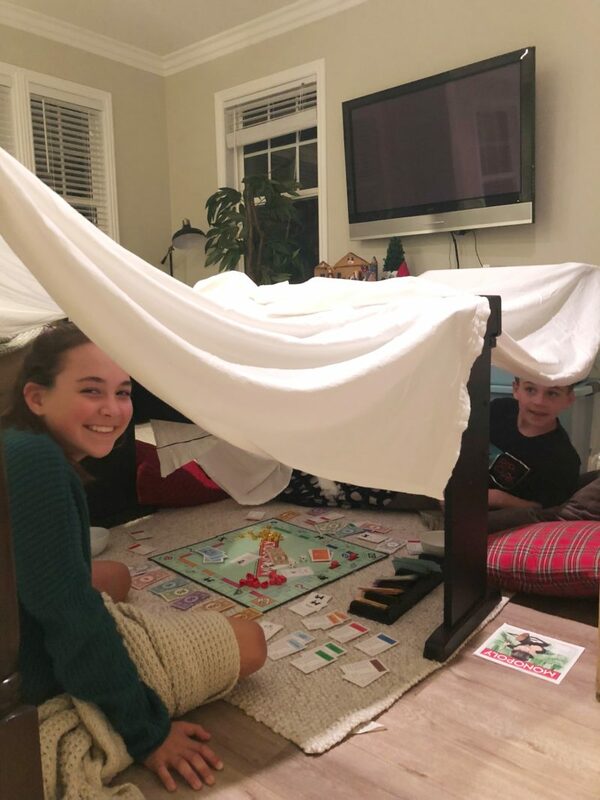 They build forts, play games and enjoy each other. They also argue a lot but that’s just part of being siblings. I remember doing the same with my brother and sister growing up. Last night we jokingly yelled up and said, “Can you please fight quietly? !” Both laughed and started arguing in a whisper. It was priceless. I shared this over the weekend. I ended up ordering the rose color because I love this sweater so much. It would make a great Christmas gift, too. You cant’ beat the price for a Free People piece. 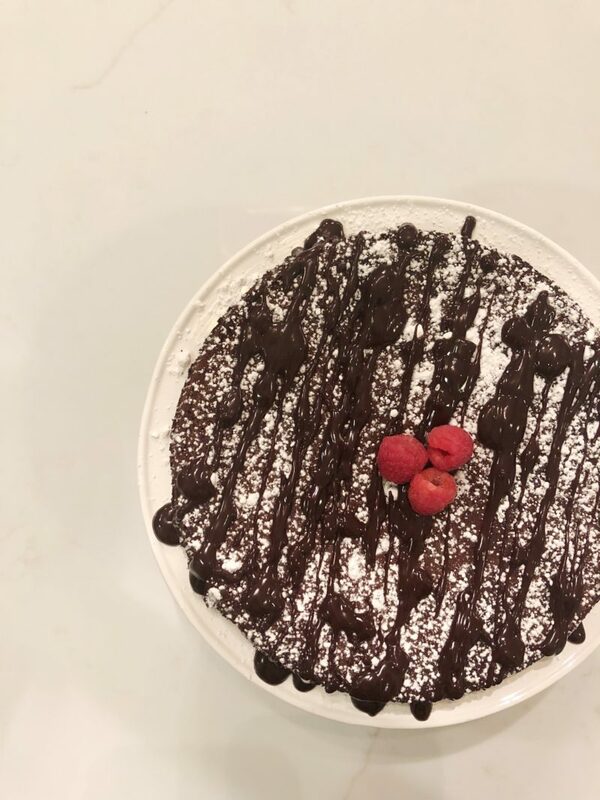 We got together with dear friends this weekend and I made this gluten-free chocolate cake. It’s one of our favorites. I always bring extra raspberries to put on top of each slice. If you are looking for an alternative to pumpkin pie this year, this one is quick and delicious. Plus the it’s rich so it feeds a crowd because you can cut thin slices. By the way, I am not a baker so if I can make this, so can you! Ok, friends. We are off to finish up some decorating and fit in a little shopping. Both children have suddenly had another growth spurt and we need to update their wardrobes. Wish us luck. Oh, we are also working on the dresser I bought so I’ll try to share updates on stories. Hi Courtney! 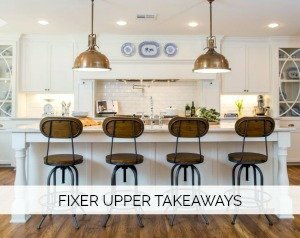 Do you have a recipe for the chicken tenders that you make?